Tiffany Two, the world's oldest cat, has died at 27 years, two months and 9 days old, according to ABC News. Owner Sharron Voorhees says Tiffany Two passed away in her sleep on May 22nd. "She spent her last days laying either on the deck or down in the yard," owner Sharron Voorhees said. "She used to sleep right next to me every night. But in recent months she slept in the middle of the staircase, or, most recently, she had taken up residence on the dog's huge pillow-bed in the living room. But that night she slept next to me on her heated pad. And that is where she passed." Tiffany Two was born on March 13, 1988 in California, and the Voorhees bought her from a local pet shop for $10. She was named after the family's first cat, which died in the 1970s. 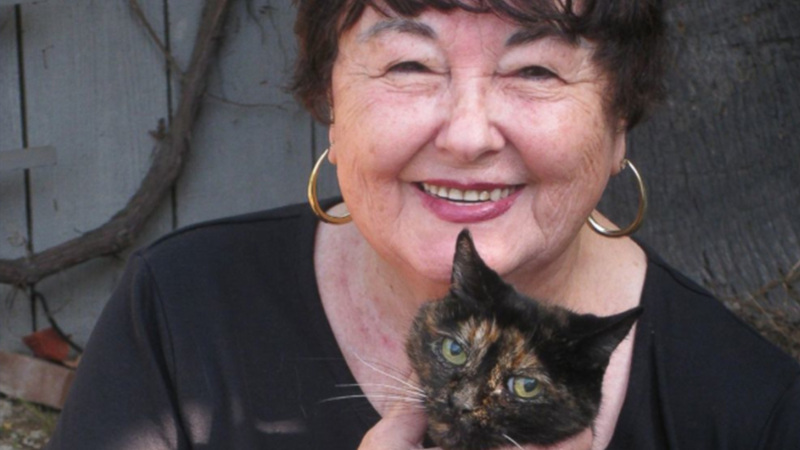 She was named the oldest living cat by the Guinness Book of World Records in October, 2014, but was still a 11 years shy of the all-time record set by a cat named Cream Puff who lived to the age of 38. Guinness is working to figure out which cat will inherit Tiffany Two's title. "We are currently investigating and verifying the potential successors for the oldest living cat title and will announce this once we're in a position to do so. We welcome applications for this title on our website, www.guinnessworldrecords.com."